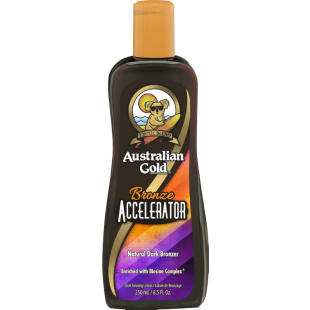 An iconic tanning formula is now supercharged with Natural Dark Bronzers providing instant, amazing dark results. Exclusive Biosine Complex carries nutrients, moisturizers and protectants to keep skin hydrated and conditioned for maximum results. Propolis Extract is blended with Native Australian Oils + Vitamins A and E for bronze satisfaction. Fragrance: CocoaDreams.